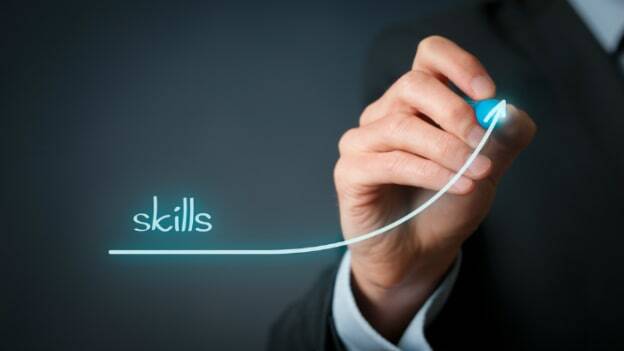 Article: How are corporates stirring employee learning curves? Organizations that fail to innovate their learning management practices often are found struggling when it comes to organizational performance. Organization need to tap learning capacity of their employees to achieve maximum productivity as research proves that every brain loves to learn. And ensuring optimum learning transfer is the key to success. So, what does organization need to create to stir the employee learning curve? Read to know more on some of the best learning strategies that are adopted by global organizations. Let’s have a look to three prominent names from the South Asian region. Here we go! With more than 280 branches across 18 markets, DBS Banks are known for growing their business in one of the most dynamic markets. This Singapore-based bank is one of the largest banks to exist in South East Asian region by asset value. The government of Singapore established the DBS Bank in the year 1968, and it was primarily aimed at providing development oriented financial services. A 40,000 square-foot innovative learning centre in Singapore offers a well-rounded curriculum that is progressive, integrated and career-based. New courses are kept adding in order to up-skill employees of DBS across all function. More than 5,500 employees are engaged in innovation programs through human-centered design workshops and hackathons. DBS launched its cloud-based learning management system in the year 2017 for helping their employees enroll for training on digital courses of interest. And recently, they also launched DigiFY which is a curriculum designed to develop digital literacy for their employees at all level. The company’s driving agenda of digital training, awareness and utilization is evident through Bosch’s e-University initiative. This is open to all staff and offers exclusive modules and programs that are delivered via an online platform. Digital training is of high priority for Bosch so much that the very first step of the employee life cycle i.e. on-boarding is called as ‘i-boarding’. All recent digital trends and technology are interwoven to add the element of fun in e-learning. Gamification is used largely in Bosch’s e-university along bite-sized micro learning and mobile learning approach for all employees. VISTA refers to ‘Volvo International Service Training Award’. This is an international competition open to all Service Market professionals within the Volvo Trucks’ and Volvo Buses’ global service network. Currently it is the world’s largest competition for Service Market personnel. The purpose for VISTA has always been to enhance teamwork - a collaboration spirit which is adorned with pride. Additionally, it had also served as a great way to increase knowledge and quality of work. Through VISTA, thousands of people across the world train themselves to become better at what they do every day. With the aim to enable employees develop and improve their skills, knowledge and ability to work as a team, participants in VISTA takes part in teams of 2-4. The competition starts with two parts of theoretical questions, which teams complete in their workshops. After these two parts, the best performing teams qualify for the World Semi-Final. The 2017 - 2018 event took place in Gothenburg. Post semi finals, 40 teams then qualify for the World Final, that was held in Curitiba, Brazil for the first time in the competition’s history for the current year. "We love VISTA because it was an opportunity for us to grow as a team", one of the participating teams from The Philippines quoted in a recent social media post from this year’s event. Another team from Jordan was found quoting “Motivation, this is what VISTA literally give us. Motivation in daily work, Motivation to knowing more, Motivation for next competition! VISTA thank you so much, we will never forget that Performance is Everything"
To conclude, all the above given organizations clearly outlines their strategies and define the practices necessary for action based learning. With the help of innovative practices, significant knowledge is embedded in and sustained by the organizational culture. And with the advent of technology and right learning strategies; these big corporate giants are reaping the benefits of micro learning, virtual reality, e-learning, gamification and other tool to stir their employee learning curve in all respect. To know more about corporate learning, don't forget to register yourself at People Matters TechHR Conference in Singapore on 28th February, 2019. NEXT STORY: What’s the ‘new parent leave’ policy of CA Technologies?